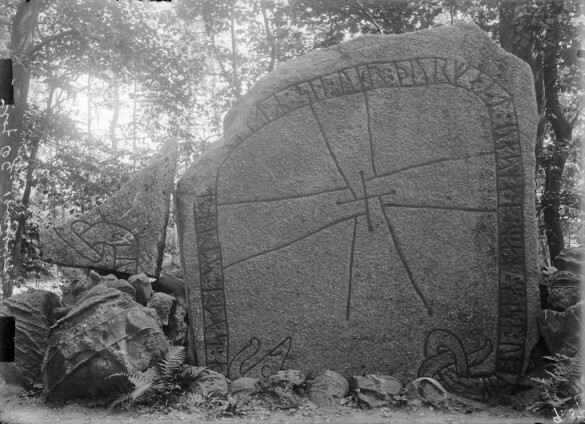 Rune stone (Ög 77) at Hovgården in Hov. In the middle a cross. The inscription says: “Tunna/Tonna placed this stone in memory of her husband Þorfastr. He was the most unvillainous of men. “.